So you’ve been injured in a car accident, have completed the injury claim form and sent the form to the appropriate insurer, which has essentially commenced your claim. Depending on what stage you are up to, you may have been contacted by the insurer directly too, to arrange medical assessments, medical appointments, possibly seeking documents such as tax returns and the insurer may already have made you a lump sum payment offer by way of compensation for your injuries. The matter may seem to be progressing well, but remember that the insurer has obligations to other parties beside you, such as shareholders, and may not be making you the best offer possible in all the circumstances. The insurer may not be fully aware of all the relevant information relevant to your claim. By engaging a lawyer, you will no longer have to deal with the insurer directly, as your lawyer will act as a ‘buffer’ between the parties and will be acting wholly in your best interests. 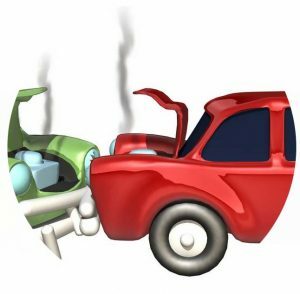 Your lawyer should be experienced in motor vehicle accident injury claims and will ensure that all heads of loss are properly considered by the insurer; this may include arranging an independent medical report rather than relying on the report provided by the insurer’s doctor. We strongly suggest that you contact a lawyer prior to reaching an agreement with the insurer, to ensure that you are properly compensated for the full extent of losses suffered.